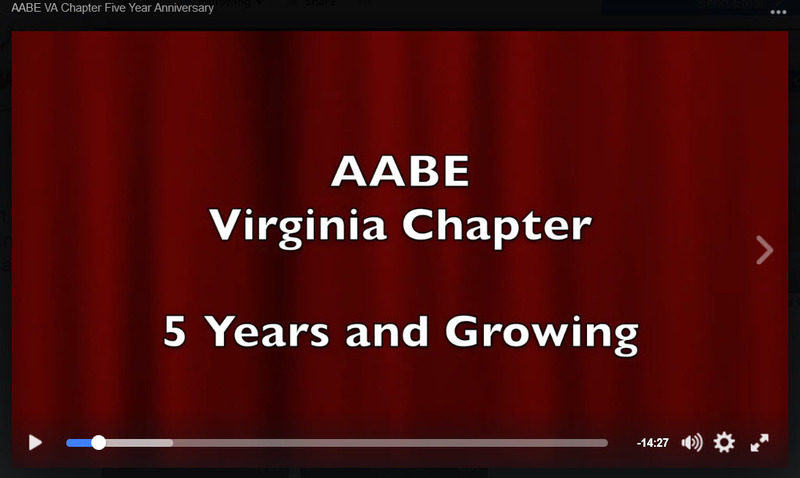 The Virginia Chapter of AABE is a 501(c)(3) non-profit organization headquartered in Richmond, Virginia. Established in 2011, our chapter is currently comprised of over 100 active members ranging from students to entrepreneurs to executives in companies such as Dominion Resouces, NiSource (Columbia Gas), Edison Electric Institute, McGuire Woods, Southside Electric Cooperative, and United States Department of Energy. Our mission is to provide energy professionals, executives, entrepreneurs, and students a pathway to learn and grow within the energy industry through forming professional and leadership development opportunities, hosting networking events, volunteering for student exploration programs promoting STEM education, fundraising, and supporting community outreach activities. We welcome professionals from all energy-related disciplines (oil, gas, water, electricity, nuclear, renewable alternatives, government, technology, and energy services) to join our chapter regardless of race, gender, and/or ethnicity. We believe that each of these disciplines provide our membership and community with a broader perspective and greater understanding of the energy industry as a whole. Additionally, we encourage college students pursuing a degree or career in the energy industry to participate as well, thus positioning ourselves to positively impact the pipeline of those wishing to enter into the industry. To ensure the involvement of African American and other minorities in govermenta energy policymaking. To encourage public and private sectors to be responsive to challenges, goals, and aspirations of African Americans and other minorities in energy-related fields. To encourage African Americans and other minorities to pursue careers within an energy-related field. To promote and develop leadership and professional skills build leaders who will shape the future of the energy industry.